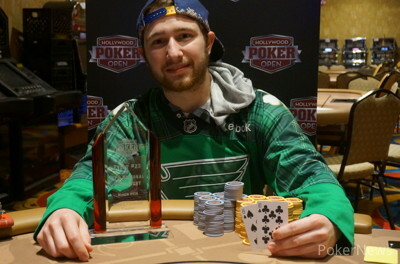 Cory Bogert Wins the Hollywood Poker Open St. Louis Regional Main Event! Cory Bogert topped a field of 257 entries to win the Hollywood Poker Open St. Louis Regional Main Event. Among those Bogert defeated from the field included HPO ambassador Chris Moneymaker, six-time World Series of Poker Circuit ring winner Kyle Cartwright, and hometown hero Josh Turner. Bogert took home $41,690 as part of a three-way deal he made with Jeremy Scharf and Lloyd Ney. Additionally, he earned a $2,500 seat into the HPO Championship Event to be held at the M Resort in Las Vegas this June. Bogert had strong play throughout the final day after he entered third in chips with 203,500. He came into the final table in the middle of the pack, but quickly exploded to take the chip lead during five-handed play. Prior to this result, Bogert had only two recorded cashes, but he told PokerNews that he was a tournament pro at 17, playing online. He now says he spends most of his time playing cash games and a very few select tournaments. This was one of those few selections, and wouldn't you know it, he won the whole thing. He plans to be be playing in the $2,500 Championship Event in Las Vegas in June. Bogert scored the elimination of Michael Kamenjarin in eighth place when his pocket eights were able to spike a set against the pocket queens of Kamenjarin. At the start of the final table, Don Baumer held the lead, but it turned out to not be his day. Several double ups were had through him, and the next thing Baumer knew he was on the rail thanks following a huge clash with Bogert. With the blinds at 20,000/40,000/5,000, Bogert checked the flop to Baumer, who bet 250,000. Bogert called, and the turn was the . Bogert open-shoved for about 900,000, and Baumer called with pocket queens. Bogert had the for top two pair and held after the hit on the river. Now short, Baumer was all in on the next hand with the against the for Jeremy Scharf. Scharf won the pot, busted Baumer, and nearly tripled his stack in the process. Bruce Mead then fell in fourth, and the final three players agreed to a deal. After the deal, Lloyd Ney busted in third, then Bogert finished off Scharf in second to officially win the event and the $2,500 Championship Event seat. For Chris Moneymaker, the 2003 WSOP Main Event champion who now serves as the official HPO ambassador, he busted just outside the money in this event, but it was certainly a wild ride. On Day 1a, Moneymaker joined the tournament very late thanks to a deep run in a $300 side event where he took third for $4,575. Moneymaker then started play in the Regional Main Event at the beginning of Level 9. He began with 20,000 in chips and quickly ran it up to 140,000 in about an hour. He had hopes of being one of the chip leaders advancing to Day 2, but had his aces cracked by Peter Brooks for a huge pot at the end of the night. On Day 2, he tried to get things going, but couldn't, and busted when he missed a flush draw to stay alive. Josh Turner, who bagged up the Day 1b chip lead, finished in 18th place for $3,213 in this event. Because of his success at the HPO St. Louis stop this year, Turner topped the points leaderboard that earned him a $2,500 Championship Event seat. This marks the third straight year Turner has won this leaderboard. As for us here at PokerNews, we're off and onto the next stop. For the Hollywood Poker Open, that will be HPO Columbus taking place April 28 through May 8 with an 18-event series. The HPO Columbus $1,115 Regional Main Event will take place May 6-8 and boast a $200,000 guarantee on the prize pool. Click here to view the complete HPO Columbus schedule. Until next time, you can find us at the bar! Jeremy Scharf has been eliminated in second place. Scharf got all in with the on the flop against the of Bogert. Bogert had top pair and needed to dodge a diamond to seal the deal against Scharf's flush draw. Scharf missed his draw and that gave the win to Cory Bogert. There was a deal made during three-handed play and as part of the deal, Scharf, who had the most chips at the time, took $45,970, which is about $16,000 shy of the original first-place prize, but a bit more than the original second-place prize of $38,036. The three players played for the HPO $2,500 Championship Event seat and were required to finish the tournament. 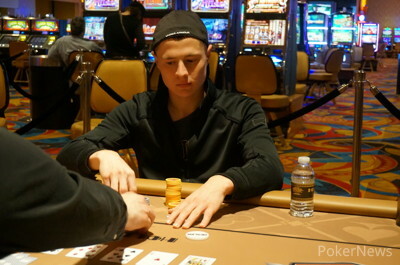 Scharf came up short of winning the seat, but made the most money of the three players. As side caveat to the deal, Scharf will be getting 25% of Bogert's action in the Championship Event at the M Resort in Las Vegas this June. Scharf was getting down to around 1-million in chips and on this hand picked up about 250,000. Scharf raised preflop to 125,000 and Bogert called. The board ran out as the players checked it down. Until Scharf bet the river. He made it 250,000 and Bogert called. Scharf turned over and won the pot. 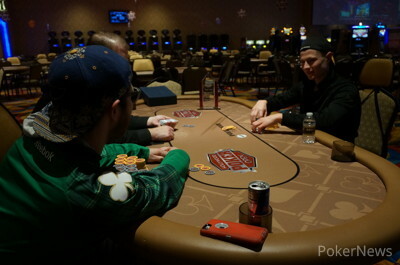 Cory Bogert and Jeremy Scharf are entering the second level of heads up play. On this hand Bogert increased his chip lead without a showdown. Bogert raised to 125,000 preflop and Scharf reraised to 325,000. Bogert called. The flop was and Scharf bet 300,000. Bogert called. The turn was the and Scharf checked. Bogert bet 450,000 and Scharf folded. Cory Bogert got most of the chips against Jeremy Scharf when he bet 600,000 on the river and got called with a full house. Shortly after that, Scharf and Bogert were all in. Scharf had a set of kings versus the open-ended straight draw of Bogert. The river was a blank and Scharf doubled up to pull back to almost 1.5-million. 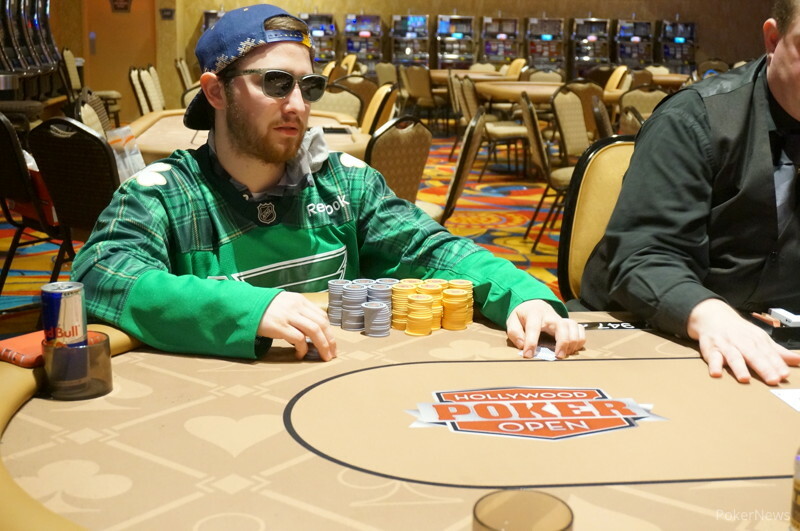 Cory Bogert and Jeremy Scharf are still keeping a hold of their chips for the most part. Bogert has managed to pull away slightly. On this hand, Scharf raised to 100,000 and Bogert called. The flop came and Bogert checked. Scharf bet 100,000 and Bogert called. The turn was the and Bogert checked again. Scharf bet 175,000 and Bogert called.